While teased last week, Blizzard has now confirmed that Overwatch's next hero will be Baptiste. A medic class character, Jean-Baptiste Augustin – or Baptiste for short – has a war-torn backstory told through a newly released trailer. 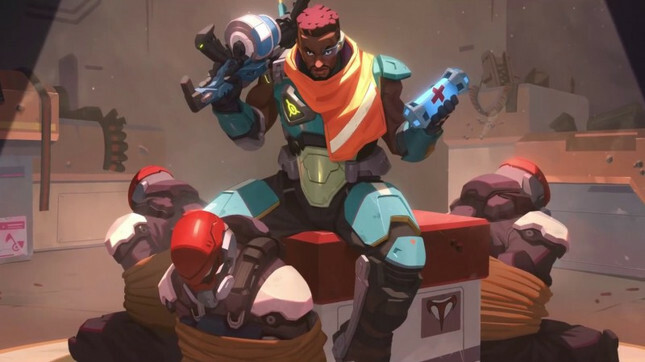 Not much is shared about Baptiste other than his orphan upbringing, but there's a number of clues scattered through his introduction video. It would appear Baptiste has a history with the terrorist organisation Talon – the same group that's connected to Overwatch heroes like Reaper and Doomfist. It seems our new hero has turned his back on Talon, much to their chagrin. It's unclear what Baptiste's abilities will be. but touting a bandoleer of healing canisters and what appears to be a grenade launcher, he looks like a force to be reckoned with.